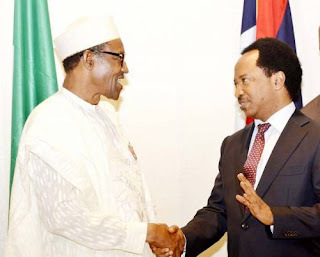 Senator Shehu Sani (PRP-Kaduna Central) has called on President Muhammadu Buhari to clarify the claim made by Governor Nasir El-Rufai that he is aware of his (El-rufai) choice to pick a Muslim as his running mate. CKN News had reported that the governor of Kaduna state had sought Buhari’s opinion before choosing Hadiza Balarabe as his running mate for the 2019 elections. El-rufai was reacting to the condemnation, which followed his choice of a Muslim as a running mate in a multi-religious and a multi-ethnic state like Kaduna. Reacting in a post on his Twitter handle on Wednesday, Shehu Sani called on the president to react to the governors claim. The lawmaker wondered how Buhari would okay a Muslim-Muslim ticket in Kaduna state despite having a Christian as his Vice President. He wrote: “President’s name is dragged into the politics of manipulation of religion in Kaduna state, there’s the need for him to make a public clarification.